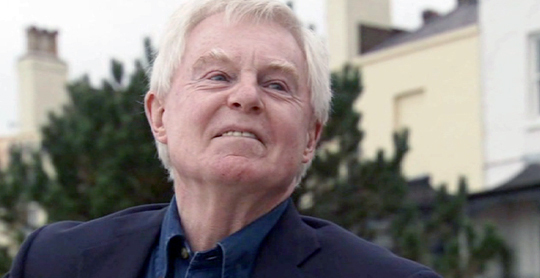 Derek Jacobi is rapidly becoming one of my favourite people. And not because he’s a national treasure or a ‘forceful, commanding stage presence’ (thank you very much Wikipedia) but because, in the last few years, his standards seem to have sunk to impossible new lows. 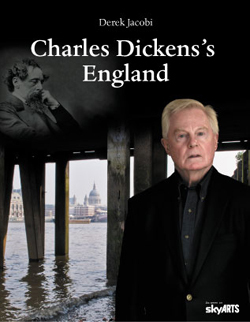 This year we’ve seen him hamming it up in Anonymous (‘what if I toooooold you …’) and being the Obligatory Revered Thespian in both My Week with Marilyn and The King’s Speech, but perhaps his most spectacular career misstep came a couple of years ago in the form of historical documentary Charles Dickens’s England. Cobbled together by Sky Arts and inexplicably given a UK theatrical release in July of 2009, Charles Dickens’s England sees Jacobi visiting LITERALLY HUNDREDS of the places where Dickens went in his lifetime, staring blankly into the camera, and telling you precisely where he is — often while manipulating his face in a variety of new and unusual ways. It’s the most astonishly inept (and inadvertently hilarious) piece of filmmaking I’ve seen in a long time and if you’re short of Christmas present ideas, you could certainly do worse. And yes, that really is the photo they used on the cover art.